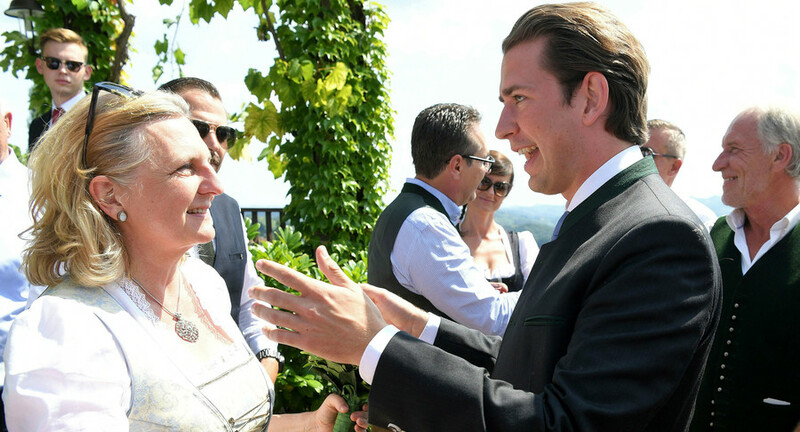 When Austria’s foreign minister gets married, you can expect politicians to be there – but maybe not a foreign head of state. However, one of Karin Kneissl’s guests was Vladimir Putin, who arrived with a bouquet of flowers. 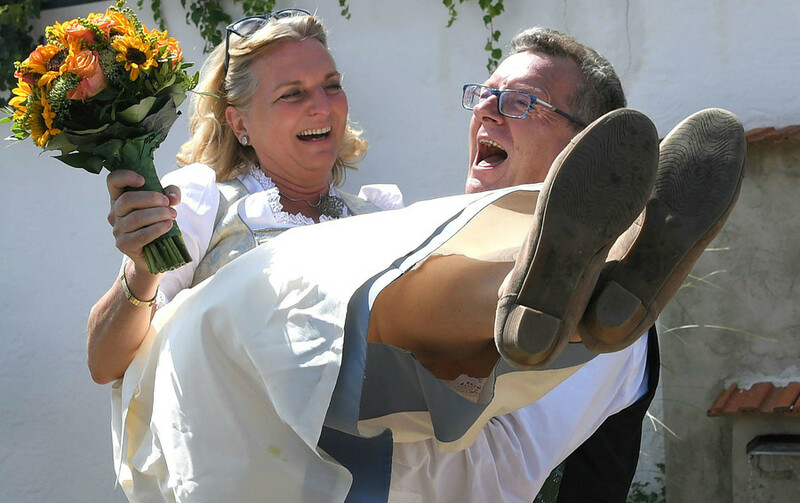 The bouquet wasn’t the only gift up Putin’s sleeve at the wedding of Kneissl and multi-millionaire Wolfgang Meilinger. He also brought along the Kuban Cossak Choir to entertain guests. 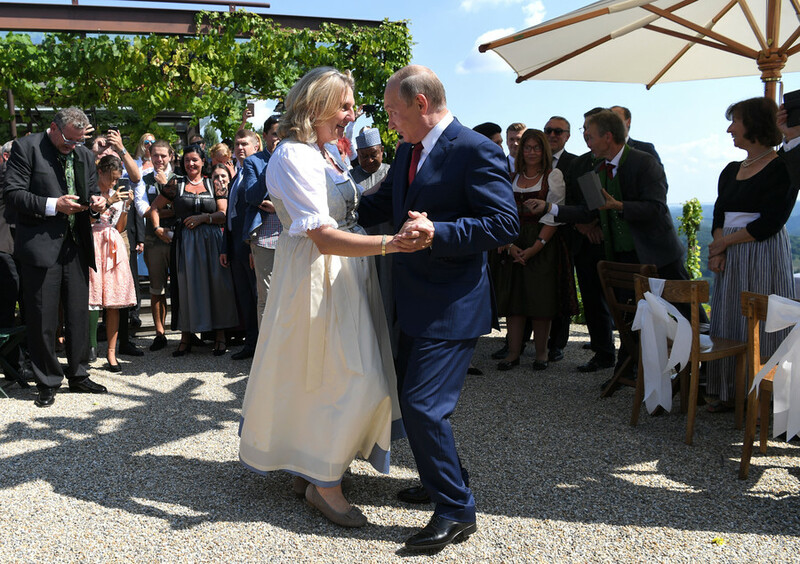 Looking sharp in a navy-blue suit and burgundy tie, Putin also shared a dance with Kneissl, who wore a traditional Alpine dress known as a dirndl. 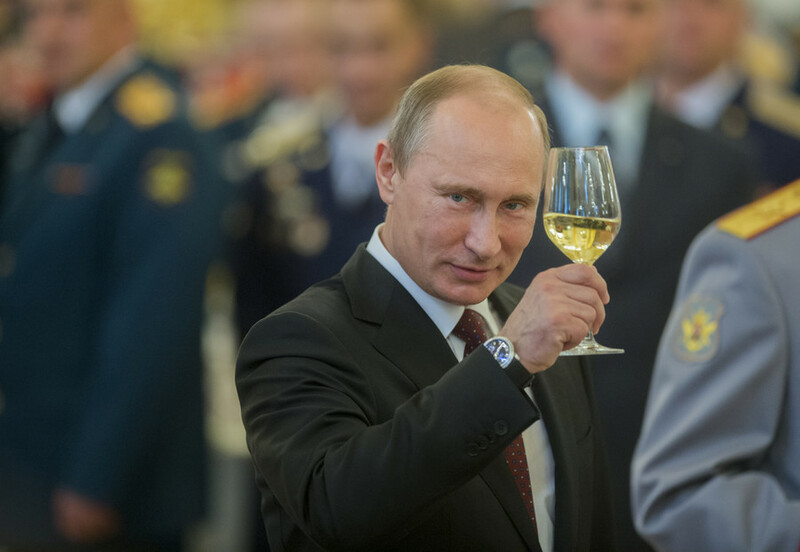 Putin arrived to the celebration in a convoy, despite swirling reports that he would be coming by helicopter. 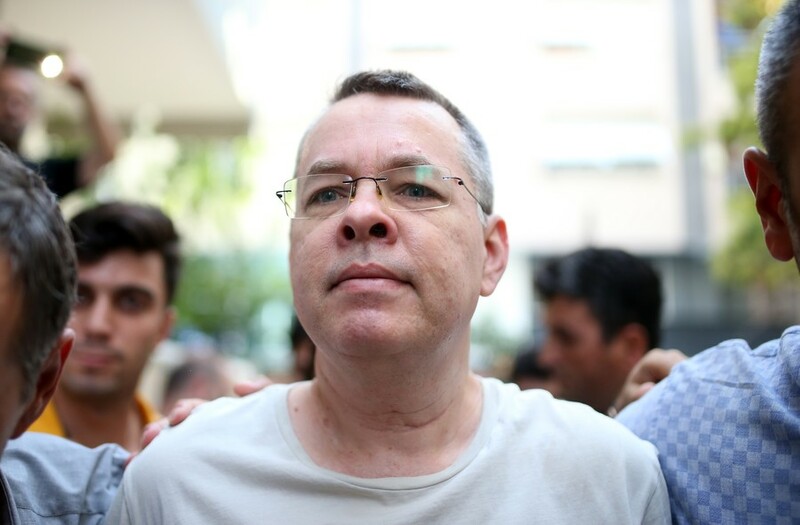 He traveled in his car with Margot Klestil-Löffler, the former first lady of Austria and a former ambassador to Russia. Security was boosted in the area as the convoy traveled to the wedding. As for the bride, she and her groom arrived in a way more reminiscent of a fairytale – in a horse-drawn carriage. Wedding guests followed in two decorated tractors which pulled trailers equipped with benches. Putin also signed a Volkswagen Beetle belonging to the happy couple, framing his words with a heart and showing that even world leaders are suckers for love. But all good things must come to an end. After one hour and 20 minutes at the wedding, Putin had to get back to business. 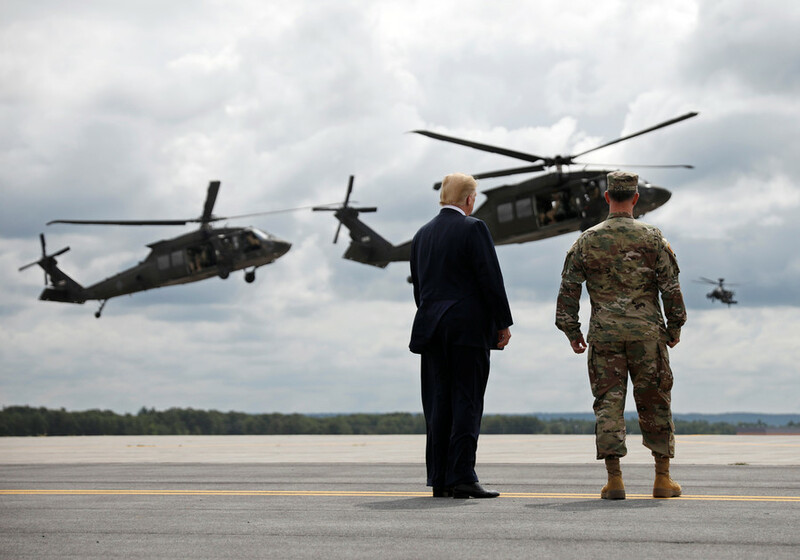 He went straight to Graz Airport so he could make a Saturday evening meeting with German Chancellor Angela Merkel outside Berlin. Before leaving, Putin reportedly shouted the famous Russian wedding expression “gorko!” (bitter) to the newlyweds, a phrase used to get the bride and groom to kiss and make the day that much sweeter. 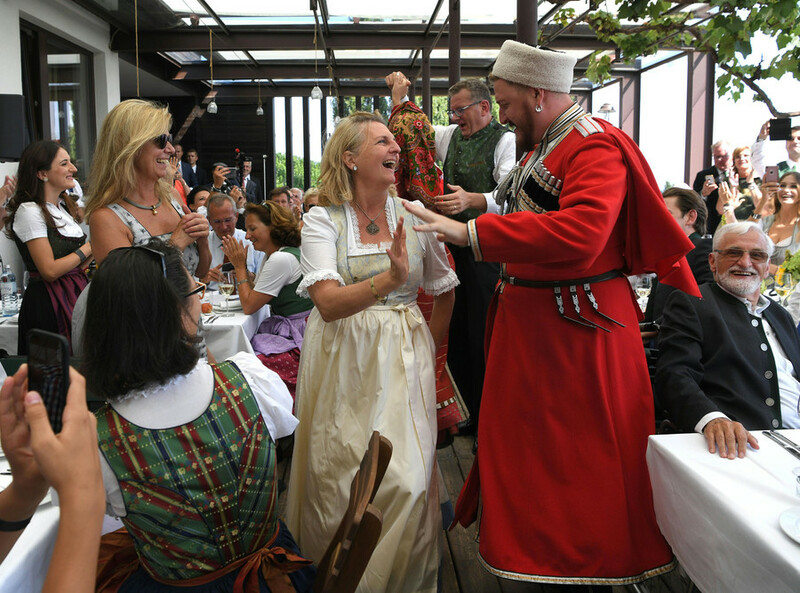 The VIP guest list also included Austrian Chancellor Sebastian Kurz, as well as Heinz-Christian Strache, vice chancellor and leader of the country’s Freedom Party. 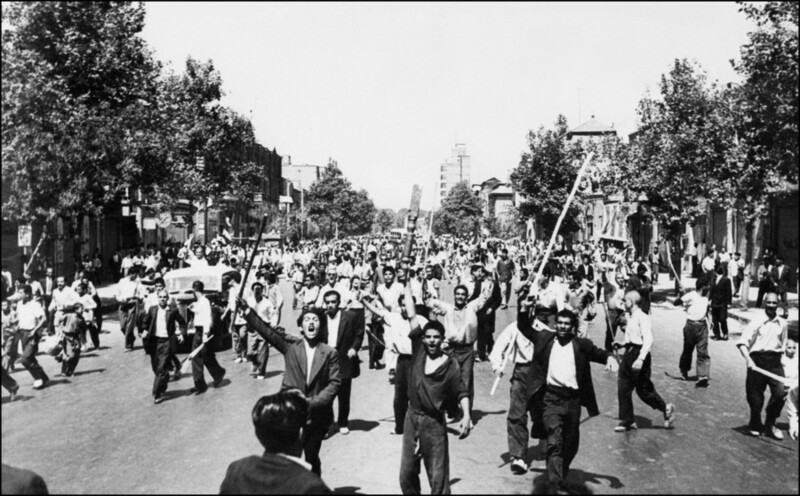 Other members of the cabinet were also present for the celebration.